Space enthusiasts, curious minds and virtually every other person inhabiting the planet got a real treat on Wednesday as the first-ever image of a black hole was released to the public. For the first time, we now have “direct visual evidence of a supermassive black hole and its shadow,” according to a press release by the National Science Foundation. This astrophysics breakthrough was achieved by an international team of scientists using the Event Horizon Telescope (EHT), a network of eight ground-based radio telescopes. The research team consisted of more than 200 scientists, with contributions coming from the Chinese science community, according to Xinhua. The black hole, located at the center of a massive galaxy called Messier 87, is 55 million light-years away from Earth, with a mass 6.5 billion times that of the Sun. Chinese social media marveled over the groundbreaking image and took the opportunity to get creative in some of the least scientific ways possible. 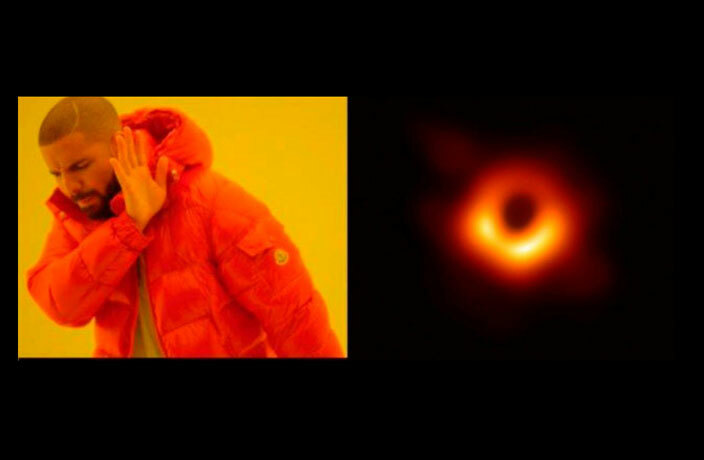 On Weibo, users flooded the digital platform with memes and a trending topic throughout today has been #blackholePScompetition (#黑洞PS大赛).